Whether you want to participate in ballet or just watch it, the ballet experience can excite and inspire you. Ballet is among the most beautiful forms of expression ever devised: an exquisite mix of sight and sound, stunning, aesthetics, and awesome technique. 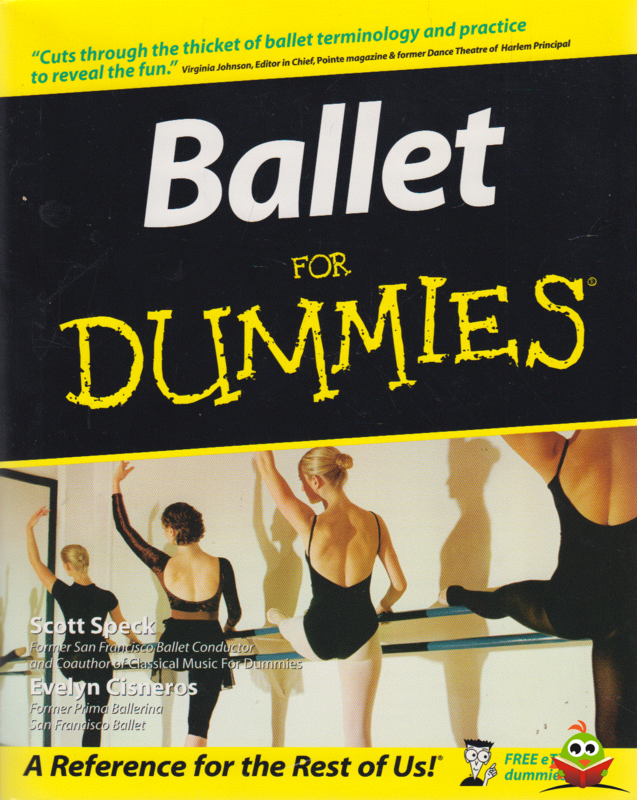 Ballet For Dummies is for anyone who wants to enjoy all that the dance forms offers  as an onlooker who wants to get a leg up on the forms you're likely to see or as an exercise enthusiast who understands that the practice of ballet can help you gainMore strengthGreater flexibilityBetter body alignmentConfidence in movementComfort through stress reductionInfinite grace  for lifeFrom covering the basics of classical ballet to sharing safe and sensible ways to try your hand (and toes) at moving through the actual dance steps, this expert reference shows you how toBuild your appreciation for ballet from the ground up. Choose the best practice space and equipment. Warm up to your leap into the movements. Locate musical options for each exercise. Look for certain lifts in a stage performance. Tell a story with gestures. Picture a day in the life of a professional ballet dancer. Identify best-loved classic and contemporary ballets. Speak the language of ballet. Today you can find a ballet company in almost every major city on earth. Many companies have their own ballet schools  some for training future professionals, and others for interested amateurs. As you fine-tune your classical ballet technique  or even if you just like to read about it  you'll become better equipped to fully appreciate the great choreography and many styles of the dance. 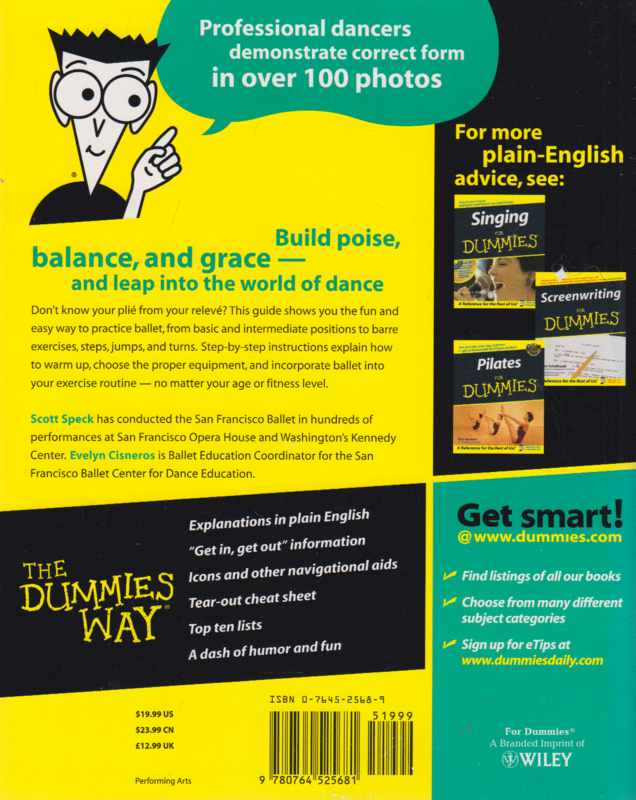 Ballet For Dummies raises the curtain on a world of beauty, grace, poise, and possibility!